A Roth Individual Retirement Account (IRA) allows investors to contribute “after tax” dollars to the investment and then withdraw the principle and earnings tax free during retirement. A Roth IRA is unlike a corporate 401k retirement plan or the federal government’s Thrift Savings Plan which invests money for retirement using “before tax” money and withdraws in retirement are then taxed at your normal income tax rate on principal, interest, and capital gains. The Roth IRA is not always the best suitable investment for every investor, but most people in the middle income bracket will likely find that a Roth IRA as a great investment alternative with a lot of advantages. 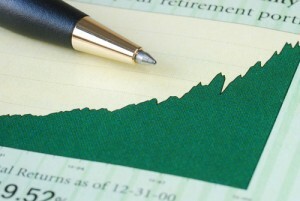 It is why it is important that investors to understand Roth IRA rules and their investing alternatives. As of 2010 and in 2011, a person can put up to a maximum of $5,000 into a Roth IRA or $10,000 in a joint fund if married. If you did not want to open a joint account, a married couple could open two individual accounts valued at up to $5,000 each even with only one wage earner. People over the age of 50 can invest an extra $1,000 as a catch-up payment for a total maximum investment of $6,000. To open a Roth IRA, an investor has to have earned an income and file taxes, but there is now an exclusion clause for members of the military who earned tax free income in the combat zone. They are still eligible to contribute money into a Roth IRA even without technically earning a taxable income. Roth IRA guidelines state that high wage earners who earn over $120,000 per year if filing as a single tax return or $177,000 if filing a joint tax return cannot contribute to a Roth IRA. Investors must keep their investments in their Roth IRA accounts for over five years in order to qualify for long term tax rates and long term capital gains appreciation. In addition to that requirement, investors can only withdraw capital gains, interest, and dividends tax-free withdrawals or distributions from your Roth IRA until after reaching the age of 59 ½. And, unlike 401k retirement plans, there are no forced minimum required distributions at the age of 70 ½ years-old. In fact, you can even bequeath a Roth IRA to your heirs. Roth IRAs are one of the best investment products for young investors and the middle class who find themselves in a low income tax bracket early in life and a higher one as they approach retirement. Knowing the many rules that apply to Roth IRAs such as how much you can invest, when you can withdraw your investments, and the requirement for an earned income can help you maximize your investment and rate of return in your retirement years. Next post: What Do You Do With Your Longevity Raise or Years In Service Raise?